Director David Lowery’s latest is based on the real-life shenanigans of Forrest Tucker, played here by Hollywood great Robert Redford, and his aging ‘Over the Hill Gang’. 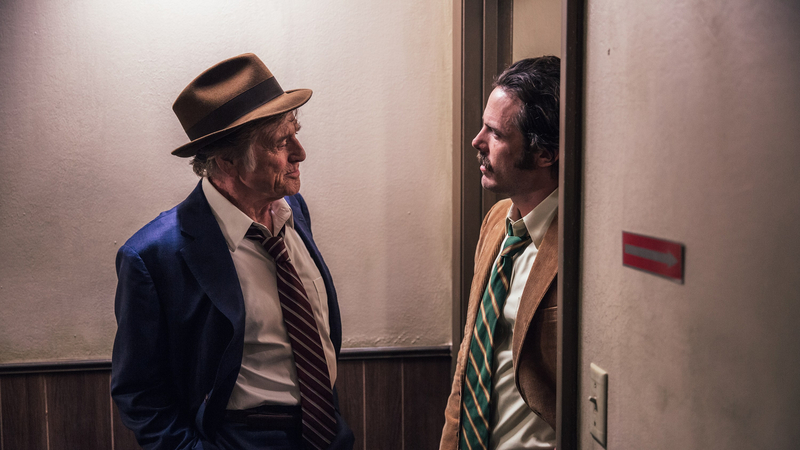 Tucker’s gang robbed a series of banks in the 1980s, but rather than making a straight crime flick, The Old Man & the Gun merges genre cinema with a deeply felt and affectionate tribute to its star. All of David Lowery’s films to date have been in some way about reconciling the past with the present. It’s most clear in his A Ghost Story, with Rooney Mara’s grieving widow haunted by the memory of her husband, but equally present in his retelling of childhood fable Pete’s Dragon and in his modern Western Ain’t Them Bodies Saints. In The Old Man & the Gun, Lowery discovers his warmest shade of nostalgia yet, tinted with just a hint of thoughtful ambivalence. The film’s free-wheeling, jazz-inflected opening sequence is not unlike the similarly musical segments in Edgar Wright’s Baby Driver, except with the film grain dialed all the way up to 1970s Independent American Cinema. This visual affectation effectively is a litmus test for the audience – dig this and you’ll probably dig the authentically 1970s use of long lenses in the next scene. If not, the sweetness of Lowery’s tribute may well prove a little cloying. Nevertheless, the romance of the first act is palpable, both in Redford’s laid-back performance and the overall warmth of the mise en scene. Driving away with his loot, Forrest pauses to save a woman stranded by the road like the rogueish gent that he is. Retiring to a diner, he and Jewel (an ineffably sparkling Sissy Spacek) have immediate chemistry and begin a gentle, slow-burning romance. Meanwhile, he continues to pilfer banks at a rate of knots, aided by his long-time accomplices, played alternately with confident weariness by Danny Glover, and mumbling grizzle by Tom Waits at his most Tom Waits-iest. Despite the golden cast, this is Redford’s show, bolstered by a life-long career of effectively playing younger versions of Tucker. The two most obvious points of reference are his turns in The Sting and classic western Butch Cassidy and the Sundance Kid. The Old Man & the Gun splits the difference between these with its capering bank robber who dreams of being a cowboy. The reason for Tucker’s fear of learning to ride a horse is never made explicit, though perhaps it’s because he’s afraid of measuring up to the ultimate American myth. Meanwhile, a more modern, scrappier and introspective masculinity hounds Tucker in the form of detective John Hunt (Casey Affleck – the casting of whom creates an unintended, rather queasy, irony). Even in the early 1980s setting, Tucker is a man out of time. Tucker’s machismo is neither modern nor wholly retrograde; his own nostalgic fantasies couple with our nostalgia at watching such an icon on screen to represent the passing of a certain kind of counter-cultural American masculinity – not with sadness, but affection.